High performance is about inspiring not pressuring. Servant-leadership. Leaders serve teammates. Teammates serve each other. Everyone serves customers. Maximize strengths. Understand, acknowledge, and leverage strengths more than fixing weaknesses. Behavior focus. High performance always degenerates into observable behaviors. Coaching maximizes potential, expands capacity, and enhances fulfillment. Is a fundamental way to develop and lead people. Partner rather than pull rank. Make people feel valued and powerful. Believe people want to succeed. Serve the best interest of coachees and the organization. Keep one eye on the scoreboard and two on the playing field. Aspire to grow and contribute. Practice transparency, candor, and vulnerability. Take responsibility for their own development and performance. Focus on the future, even when discussing the past. High performance cultures leverage the power of systems without treating people like machines. Coaching patterns for special situations. Patterns that build results and relationships. High performance organizations develop execution plans. How will you move the ball down the field? Use checklists before and after coaching sessions. Schedule quarterly meeting to debrief, train, and support coaches. Leverage evaluation systems for coaches and coachees. How might this relationship be better? What percentage of time did my coach spend listening? 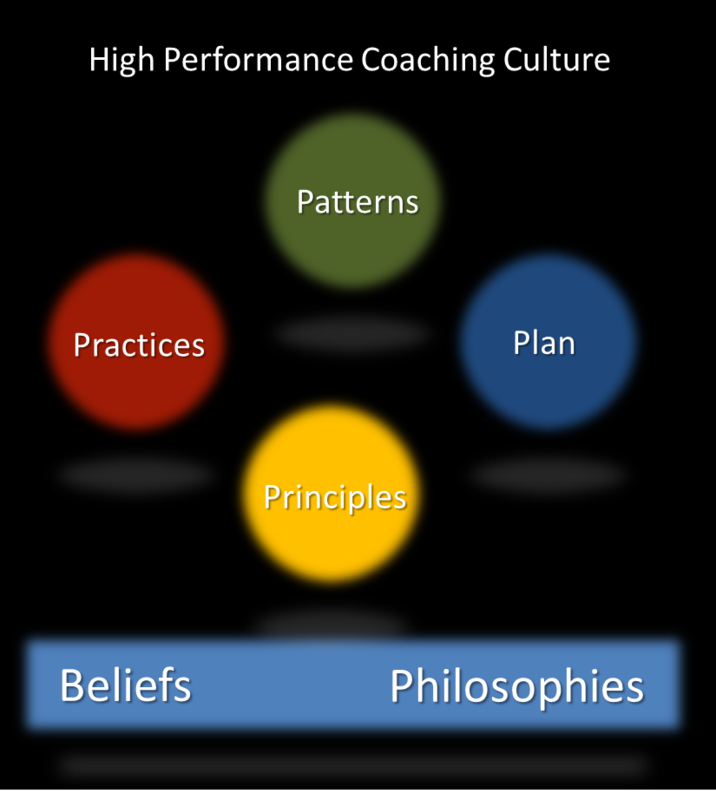 What ideas might you add to a the six elements of high performance coaching culture? Where is more clarity needed?